I'm pretty sure by now, Most of us are not newbie to Mtn bblite package. The package have been our default subscription for long period of time now but most of us are still having issue with it. Sometimes, It disconnects often and frustrating when trying to load a webpage or even using it for downloads but i think the solution is available. Today, I am going to share you some new super fast proxy server for the bblite package. 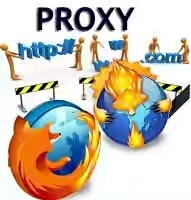 So far, I can tell you that the new proxy server is very stable and fast than the previous one. All you need do is to replace web.blackberry.com to de.blackberry.com or any of the above proxy. Nice one ITY, gonna give it a try now, but I have a question tho, how can I have Bblited work on Twitter?? My WhatsApp, Twitter and partially Facebook. But majorly it's between Twitter and Facebook. So very happy for this information sir, now how can I connect other device using hotspot, realized it doesn't connect, any solution? Use the keyword Tether on the search box at the top of this page, you will see all topics which can help you do that.